The Book of Mormon is inspired scripture containing the word of God to ancient prophets on the American continent and the words of the Savior Jesus Christ himself. The Book of Mormon was written for our day, with Jesus Christ himself serving as chief editor. It was brought forth by the power of God and will go to all the world. The Book of Mormon strengthens our faith in Christ, teaches us the principles of His gospel, and instructs us in the conditions of salvation. The Book of Mormon is different than other scriptures in that Jesus Christ himself was the chief editor. Jesus Christ personally appeared to the main editors of the Book of Mormon and instructed them what to write in the limited space they had to convey a message of infinite importance. Moroni, the last prophet and compiler of the Book of Mormon, wrote that in the day of judgment, "ye know that I have seen Jesus, and that he hath talked with me face to face, and that he told me in plain humility, even as a man telleth another in mine own language, concerning these things." Nephi, Mormon, and other prophets record being instructed by the Lord what they should or should not write in the sacred record. The Lord spoke to all of the major prophets and authors of the Book of Mormon, including Lehi, Nephi the son of Lehi, Jacob, King Benjamin, Abinidi, Alma, Ammon, Helaman, Samuel the Lamanite, Nephi and Lehi, the sons of Helaman, Nephi the son of Nephi, the Brother of Jared, Mormon, Moroni, and others. The Book of Mormon has a unique endorsement among scripture. The Lord testifies of the Book of Mormon: "Which contains a record of a fallen people, and the fulness of the gospel of Jesus Christ to the Gentiles and to the Jews also; Which was given by inspiration, and is confirmed to others by the ministering of angels, and is declared unto the world by them -- Proving to the world that the holy scriptures are true, and that God does inspire men and call them to his holy work in this age and generation, as well as in generations of old; showing that he is the same God yesterday, today, and forever. Amen. Therefore, having so great witnesses, by them shall the world be judged, even as many as shall hereafter come to a knowledge of this work. And those who receive it in faith, and work righteousness, shall receive a crown of eternal life; But those who harden their hearts in unbelief, and reject it, it shall turn to their own condemnation." The Book of Mormon was written for our day. The ancient Mesoamericans never had the complete contents of the Book of Mormon, and the major writers testified that they wrote for the benefit of future generations. The prophet Mormon, who compiled the majority of the records in the Book of Mormon, wrote: "I speak unto you, ye remnant of the house of Israel." Moroni, the book's final prophet, stated: "the Lord hath shown unto me great and marvelous things concerning that which must shortly come, at that day when these things shall come forth among you. Behold, I speak unto you as if ye were present, and yet ye are not. But behold, Jesus Christ hath shown you unto me, and I know your doing." The prophet Nephi remarks that he has included writings because "I know that they shall be of great worth unto them in the last days ... wherefore, for their good have I written them." Having seen our day and having been personally instructed by the Savior himself, Book of Mormon prophets were in a unique position to provide the guidance that we need for the challenges of our times. Some wonder why additional revelation is necessary in our time. The Lord speaks of the coming forth of the Book of Mormon: "And because my words shall hiss forth -- many of the Gentiles shall say: A Bible! A Bible! We have got a Bible, and there cannot be any more Bible ... Know ye not that there are more nations than one? Know ye not that I, the Lord your God, have created all men, and that I remember those who are upon the isles of the sea; and that I rule in the heavens above and in the earth beneath; and I bring forth my word unto the children of men, yea, even upon all the nations of the earth? Wherefore murmur ye, because that ye shall receive more of my word? Know ye not that the testimony of two nations is a witness unto you that I am God, that I remember one nation like unto another? Wherefore, I speak the same words unto one nation like unto another. And when the two nations shall run together the testimony of the two nations shall run together also. And I do this that I may prove unto many that I am the same yesterday, today, and forever; and that I speak forth my words according to mine own pleasure. And because that I have spoken one word ye need not suppose that I cannot speak another; for my work is not yet finished; neither shall it be until the end of man, neither from that time henceforth and forever. Wherefore, because that ye have a Bible ye need not suppose that it contains all my words; neither need ye suppose that I have not caused more to be written. For I command all men, both in the east and in the west, and in the north, and in the south, and in the islands of the sea, that they shall write the words which I speak unto them; for out of the books which shall be written I will judge the world, every man according to their works, according to that which is written ... And I will show ... that I am God, and that I covenanted with Abraham that I would remember his seed forever." The prophet Nephi writes of accepting new truths from God: "He that is built upon the rock receiveth it with gladness; and he that is built upon a sandy foundation trembleth lest he shall fall." While we can gain great insight from the Bible, there are many challenges and problems today which did not exist in biblical times. No rational person who has studied the Old and New Testaments and is familiar with the detailed instructions the Lord gave to ancient Israel to govern seemingly mundane aspects of daily life, can conclude that an unchanging God would suddenly cease speaking to His children through prophets and cease providing them with divine guidance. The Book of Mormon testifies that God lives today and that He continues to guide and instruct His children. One might inquire what would have happened to a righteous man or woman in the days of Noah who accepted the prior scriptures of Adam and Enoch, but refused to acknowledge God's word through the prophet Noah and declined to board the ark. When the great flood came, what would have happened to such a person? Our souls stand in similar peril today if we do not "live by every word that proceedeth out of the mouth of God" and accept the Lord's teaching to us in the Book of Mormon and ongoing revelation through modern prophets in The Church of Jesus Christ of Latter-day Saints. The Book of Mormon testifies that "Jesus is the Christ, the Eternal God, And that he manifesteth himself unto all those who believe in him, by the power of the Holy Ghost; yea, unto every nation, kindred, tongue, and people, working mighty miracles, signs, and wonders, among the children of men according to their faith." Susan Easton Black noted: "Christ is the central theme on every page of the Book of Mormon ... these prophetic scribes referred to Jesus Christ by, literally, 101 different names." She continues: "The Book of Mormon prophets mentioned some form of Christ's name on an average of once every 1.7 verses. By comparison, the New Testament writers mentioned a form of his name on an average of once every 2.1 verses." The prophet Nephi wrote: "For we labor diligently to write, to persuade our children, and also our brethren, to believe in Christ, and to be reconciled to God; for we know that it is by grace that we are saved, after all we can do." He emphasizes the purpose of his preaching and that of other prophets: "we talk of Christ, we rejoice in Christ, we preach of Christ, we prophesy of Christ, and we write according to our prophecies, that our children may know to what source they may look for a remission of their sins." The Book of Mormon contains the word of Christ to ancient prophets, as well as the teachings of Christ himself when he visited the American continent after His resurrection. While there is no Biblical scripture for over 300 years before the birth of Christ, the Book of Mormon covers the period before, during, and after the Birth of Christ. The Book of Mormon bridges the Old and New Testaments by demonstrating how the law of the old covenant pointed to Christ. The Book of Mormon will go forth to all the earth "to show unto the remnant of the House of Israel what great things the Lord hath done for their fathers; and that they may know the covenants of the Lord, that they are not cast off forever -- And also to the convincing of the Jew and Gentile that Jesus is the Christ, the Eternal God, manifesting himself unto all nations." The teachings in the Book of Mormon are necessary for the establishment of the Kingdom of God on earth in our time. Moroni writes: "I, Moroni, am commanded to write these things that evil may be done away, and that the time may come that Satan may have no power upon the hearts of the children of men, but that they may be persuaded to do good continually, that they may come unto the fountain of all righteousness and be saved." The Prophet Joseph Smith testified that "the Book of Mormon was the most correct of any book on earth, and the keystone of our religion." The Book of Mormon was translated into the English language by the prophet Joseph Smith through the power of God. The Bible came to us with dozens of conflicting manuscripts dated many centuries after the original events had transpired even before being translated. In contrast, the Book of Mormon was written on gold plates that would not dim with time. The original record of the Book of Mormon was divinely protected throughout the centuries and was delivered by ancient prophet and writer Moroni directly to the modern prophet and translator Joseph Smith without passing through the hands of uninspired men. In addition, the Lord prepared divine means for the translation of the Book of Mormon. With its eternal message and divine origins, the Book of Mormon is a great standard by which the righteous will be gathered and the world will be judged. LDS Prophet Ezra Taft Benson stated: "The Book of Mormon is the instrument that God designed to 'sweep the earth as with a flood, to gather out [His] elect' (Moses 7:62)." Those who seek to earnestly follow Christ are drawn to the Book of Mormon. The prophet Nephi writes: "all ye ends of the earth, hearken unto these words and believe in Christ; and if ye believe not in these words believe in Christ. And if ye shall believe in Christ ye will believe in these words, for they are the words of Christ, and he hath given them unto me; and they teach all men that they should do good. And if they are not the words of Christ, judge ye -- for Christ will show unto you, with power and great glory, that they are his words, at the last day; and you and I shall stand face to face before his bar; and ye shall know that I have been commanded of him to write these things, notwithstanding my weakness." The earnest followers of Christ rejoice in the words of the Book of Mormon. Nephi states: "Wherefore, the things which are pleasing unto the world I do not write, but the things which are pleasing unto God and unto those who are not of the world." He continues: "It speaketh harshly against sin, according to the plainness of the truth; wherefore, no man will be angry at the words which I have written save he shall be of the spirit of the devil." Book of Mormon prophets recognized the limitations of their language and the potential for human imperfection. The Book of Mormon declares: "And now, if there are faults they are the mistakes of men; wherefore, condemn not the things of God, that ye may be found spotless at the judgment-seat of Christ" (Title page of the Book of Mormon). The prophet Moroni laments: "thou hast made us that we could write but little, because of the awkwardness of our hands. Behold, thou hast not made us mighty in writing like unto the brother of Jared, for thou madest him that the things which he wrote were mighty even as thou art, unto the overpowering of man to read them. Thou hast also made our words powerful and great, even that we cannot write them; wherefore, when we write we behold our weakness, and stumble because of the placing of our words; and I fear lest the Gentiles shall mock at our words." The Lord answered him: "Fools mock, but they shall mourn; and my grace is sufficient for the meek, that they shall take no advantage of your weakness ..." He notes that while his record is true, there are many more things which Christ taught: "And only a few have I written, because of my weakness in writing." The prophet Alma taught: "And therefore, he that will harden his heart, the same receiveth the lesser portion of the word; and he that will not harden his heart, to him is given the greater portion of the word, until it is given unto him to know the mysteries of God until he know them in full." The Lord tells us: "I will try the faith of my people." Moroni wrote: "whoso receiveth this record, and shall not condemn it because of the imperfections which are in it, the same shall know of greater things than these." The Book of Mormon was dictated by the prophet Joseph Smith to scribes without punctuation. As a result, some changes -- the vast majority involving only punctuation or spelling -- have been necessary over the years for clarity. Very few of these changes affect meaning, and the Book of Mormon remains in a far more pristine condition than the Bible. Those who criticize the Book of Mormon for minor changes, which are overwhelmingly related to punctuation, spelling, or style, are either intentionally deceptive or completely unaware that the Bible does not measure up in even a small degree to the criticisms they apply to the Book of Mormon. Christian New Testament Professor Daniel Wallace notes that the English King James version of the Bible alone has incorporated "more than 100,000 changes" since its translation in 1611. When the inspiration of the Book of Commandments -- now called the Doctrine and Covenants -- was disputed early in the history of the Church, the Lord challenged the objectors: "Now, seek ye out of the Book of Commandments, even the least that is among them, and appoint him that is the most wise among you; Or, if there be any among you that shall make one like unto it, then ye are justified in saying that ye do not know that they are true; But if ye cannot make one like unto it, ye are under condemnation if ye do not bear record that they are true. For ye know that there is no unrighteousness in them, and that which is righteous cometh down from above, from the Father of lights." The same challenge could accurately be extended to the Book of Mormon. The many great religious and philosophical documents of the world -- the Koran, the Upanishads, the Tao te Ching, the Bhagavad-Gita, the Analects of Confucius, and so forth -- contain great wisdom, and in some cases inspiration. But the honest reader of the Book of Mormon is compelled to acknowledge that a far greater wisdom and more divine power is found in the pages of the Book of Mormon than in the writings of the world's greatest scholars and religionists. For the humble followers of Christ, the Book of Mormon remains a source of great strength and divine guidance for daily living. The prophet Nephi writes: "And the words which I have written in weakness will be made strong unto them; for it persuadeth them to do good; it maketh known unto them of their fathers; and it speaketh of Jesus, and persuadeth them to believe in him, and to endure to the end, which is life eternal." The prophet Moroni provided a promise of the Lord for earnest seekers of truth who study the Book of Mormon: "Behold, I would exhort you that when ye shall read these things, if it be wisdom in God that ye should read them, that ye would remember how merciful the Lord hath been unto the children of men, from the creation of Adam even down until the time that ye shall receive these things, and ponder it in your hearts. And when ye shall receive these things, I would exhort you that ye would ask God, the Eternal Father, in the name of Christ, if these things are not true; and if ye shall ask with a sincere heart, with real intent, having faith in Christ, he will manifest the truth of it unto you, by the power of the Holy Ghost. And by the power of the Holy Ghost ye may know the truth of all things." Christ also teaches that by living his doctrine, we may come to know the truth of his words. Once we have come to know the truth of the Book of Mormon, we are commanded to make it a lifetime study. LDS Prophet Ezra Taft Benson described some of the many blessings that come into our lives as we read daily in the Book of Mormon and obey its precepts: "It is not just that the Book of Mormon teaches us truth, though it indeed does that. It is not just that the Book of Mormon bears testimony of Christ, though it indeed does that, too. But there is something more. There is a power in the book which will begin to flow into your lives the moment you begin a serious study of the book. You will find greater power to resist temptation. You will find the power to avoid deception. You will find the power to stay on the strait and narrow path. The scriptures are called "the words of life," and nowhere is that more true than it is of the Book of Mormon. When you begin to hunger and thirst after those words, you will find life in greater and greater abundance." All are invited to ask God to open their minds and their hearts to His word as they prayerfully read and ponder the principles and teachings of the Book of Mormon. Those who have studied and applied the principles of the Book of Mormon in their daily lives can testify of the great blessings this inspired Testament of Jesus Christ brings into our homes. Black, Susan Easton. Finding Christ through the Book of Mormon, Salt Lake City: Deseret Book Company, 1987. pp. 5,12,15. Benson, Ezra Taft. 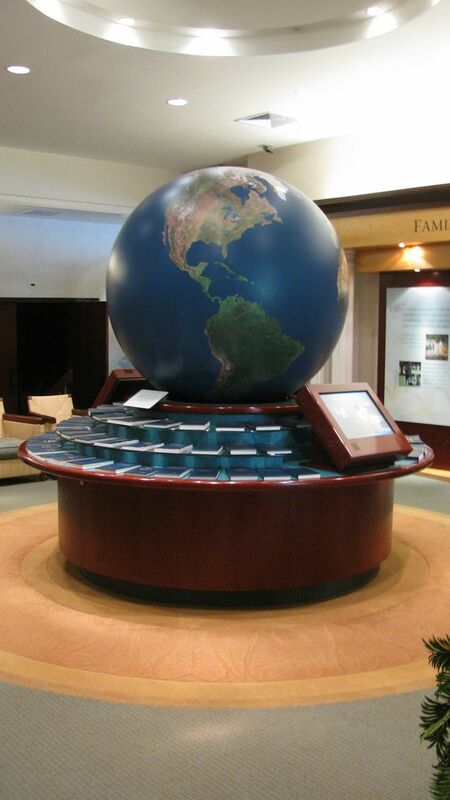 "Flooding the Earth with the Book of Mormon," Ensign, November 1988. Wallace, Daniel B. "Why so many versions?" Accessed 11 April 2003. Benson, Ezra Taft. "The Keystone of our Religion," Ensign, January 1992.